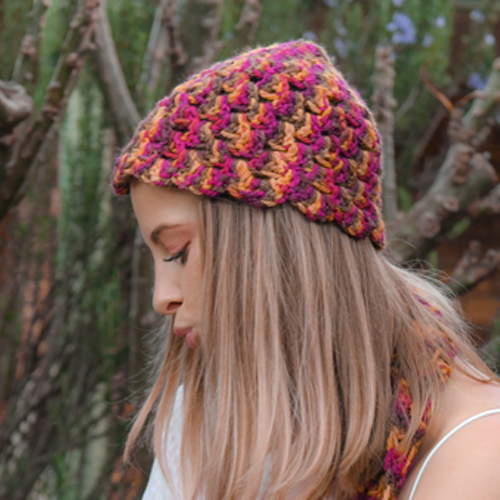 Designed to highlight the chunky yarn you choose, the Popcorn Cozy Beanie is a beautiful addition to your crochet pattern collection. It’s ideal for gifts, to sell, or for yourself. Your Popcorn Cozy Beanie pattern is instantly available in both standard US terms and Standard UK/AU terms, with step-by-step instructions and photos to help guide your hook to completion. Don’t just make a beanie, create a matching Popcorn Cozy Cowl as well! As a special deal, purchase both the Popcorn Cozy Beanie, along with the Popcorn Cozy Cowl pattern and receive an INSTANT 20% discount on the set! Would you like to purchase a “ready made” Popcorn Cozy Beanie? Many of the pictured beanies will soon be available, ready to ship (and made to order) from my sister site, HERE.